Nature may abhor a vacuum, but nations cannot survive one. 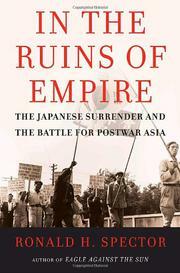 Thus the scramble for power at the end of the Pacific War, which set the stage for a dozen other wars. A useful look at the shaping of the modern world.